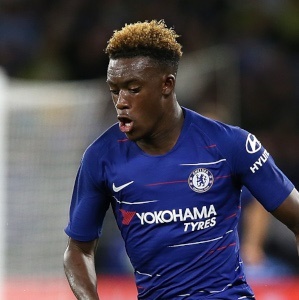 London - Chelsea teenager Callum Hudson-Odoi was called up by England for the first time, while Southampton midfielder James Ward-Prowse was also drafted into Gareth Southgate's squad on Monday amid a series of withdrawals due to injury. "It's been a crazy day but getting my first (senior) international call-up is an amazing feeling," said Hudson-Odoi, who had just arrived in Bristol for his first call-up to the England under-21 squad before being told to head to the senior side's training base in the Midlands. "I was shocked and then when I heard that I actually had to go over, I couldn't believe it. I was delighted. It's a dream come true. "Now I've got to work hard, enjoy every moment and keep working to just hopefully make an impact when I get the opportunity."